Looking to upgrade to a carbon wheelset but want to bring my 24s powertap gs over from my current wheels (alum flo 30s). Theres way to many products and marketing slogans to look over but in short: is not spending the extra 1k to get a zipp or enve set instead a mistake? Or even just 500 more to get a boyd set? If anyone has firsthand experience with the flo 60s that could be good to hear as well, the flo 30s have been good but I want to move them to my commuter as it's wheelset failed rather spectacularly into a pothole and something faster on my race bike would be sweet. Also if anyone has any fun competitors to the flo/boyd/zipp/enve that has 24 spoke rear rims can be ordered feel free to throw it out there..
Last edited by wradom; 1 Week Ago at 07:49 AM. Wait...are you going to buy a pair of wheels and then rebuild the rear w/ a P-tap hub? Really? I recommend the Boyd 44 or Alto Cycling 52mm carbon rims. I just built a set of Alto's with the GS rear hub and the rider loves them. 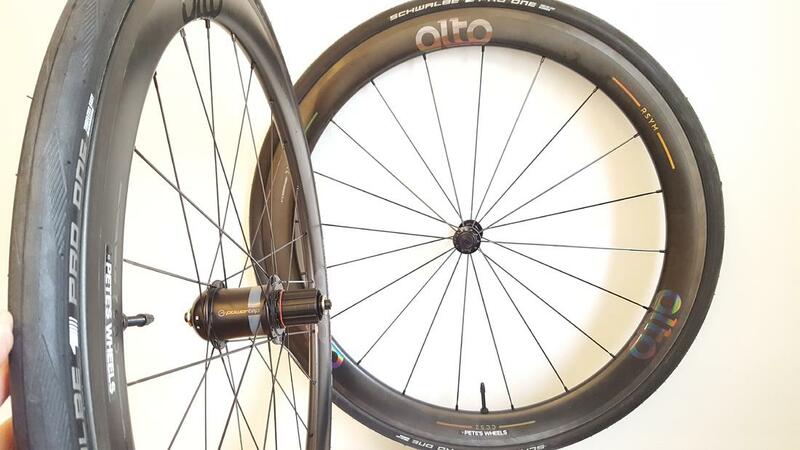 As far as modern carbon rims go, which are now almost all tubeless ready, tires mount much easier on the Alto Cycling rims than they do on most others. The Powertap GS is still one of the lightest options for power at about 100g heavier than a DT Swiss 240 rear hub. That's not a GS hub though. Yes, you're right. That's a G3. The GS has straight-pull spokes and DT Swiss internals. Too bad they stopped making them. I imagine all new higher end bikes will becoming with some type of powermeter in the next few years. We'll see who is left to make them. SRAM just bought out PowerTap, and already owns Quarq. Well the plan is to find a rim to move the hub over to. But if I can't find one and have to buy a wheelset and transfer the ptap hub over to it I'd do it..